I wanted a pair of olive pants, but was a bit scared of them and their price tag. Then I was in TJ Maxx and found these beauties. They were a size bigger than I normally wear, which made me cry for just a second before I realized they were only $10. Who cares what size they are? 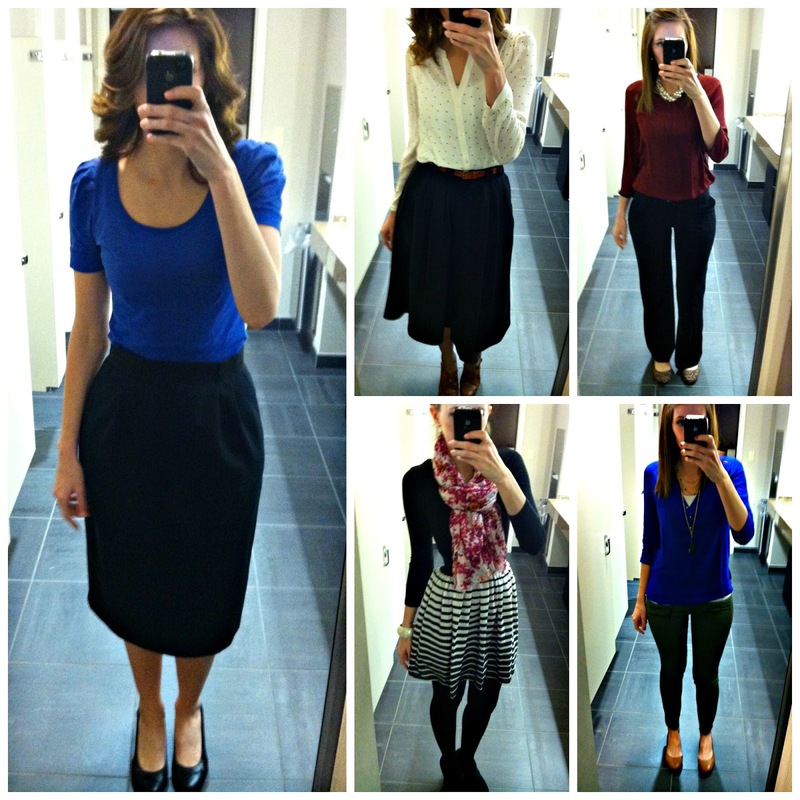 Today’s outfit is brought to you by copying Audrey – almost exactly! That girl’s got style. I follow Ginny on Instagram, and while I had already planned this outfit, I discovered they do a link up called 'style swap', so I thought why not. That's kind of my motto. 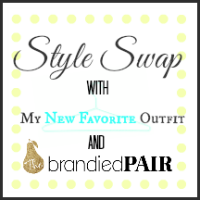 So, today's totally counts for my first style swap link up. 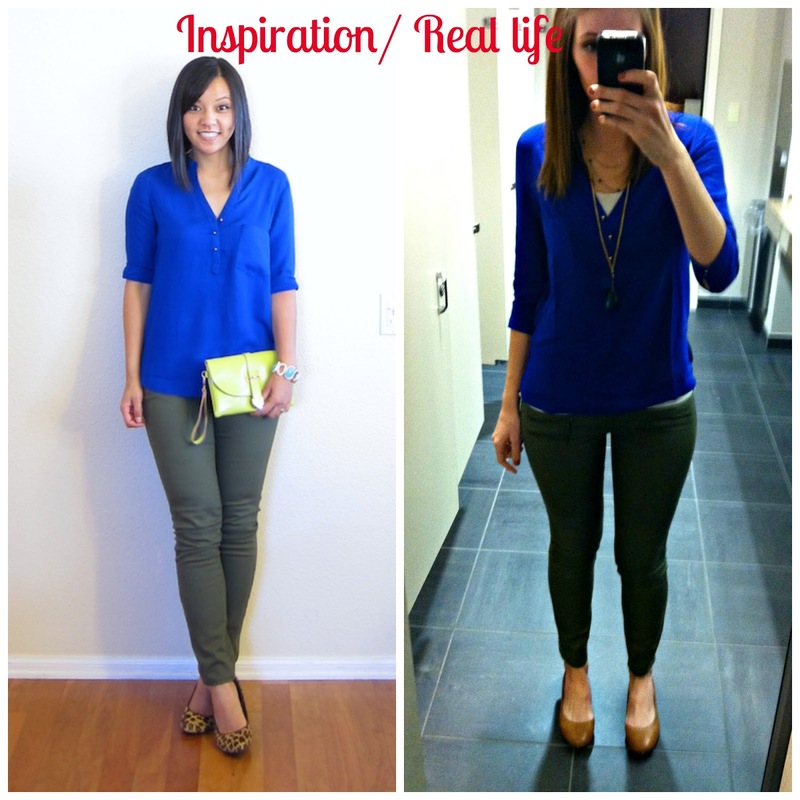 So the outfit I copied was the cobalt & olive pants – the shirt is the exact same as Audrey’s, I found it while stalking perusing her blog one night. This is my second purchase from Sheinside, and so far I like their clothes. I know I could have probably ironed this before wearing, but.. lazy. Also, their stuff runs small. I am wearing a medium; I don’t mind that it’s tighter than what other mediums are, I was just happy that I found out their stuff runs small before I ordered. This shirt was $17, so that’s pretty awesome in my book. Notice how Audrey rolled her sleeves up – I might do that next time, the sleeves end right on my elbow and the left button keeps popping open – guess my muscles a bigger than this shirt can handle. I didn't feel like wearing leopard print flats, and I don't have pumps like Audrey, so I wore my new brown flats from DSW. I also got this idea from Audrey here, girl has all the answers. I had to include these photos, because… cat lady. That’s Chelsea, she’s quite obsessively affectionate in the mornings. Also, I burned myself whilst straightening my hair. On my chin. Here’s my tip: put down the hot tool before you start dancing. Silly me. Ow. It’s Friday – you know what that means! And, just cause – here’s a selfie with my first baby, Penny. I love your take, cobalt and green is such a great combo! Thanks so much for linking up!! !